The agency has “taken a posture of nonchalance” when responding to committee requests, Rep. Trey Gowdy, R-South Carolina wrote to HHS Secretary Alex Azar on Jan. 29. “More often than not, agency respondents choose to cooperate voluntarily, expeditiously, and in good faith with our requests for information. Of late, this is not the case with HHS,” wrote Gowdy. As a result, the committee is giving HHS until Feb. 5 to provide Congress with previously requested documents. HHS must provide data on federal disaster preparedness and responses to Puerto Rico and the U.S. Virgin Islands requested in October. While the agency responded to the request, officials provided primarily public documents and none of the requested communications. HHS must provide the committee with Medicare Part D program and opioid addiction or diversion documents. 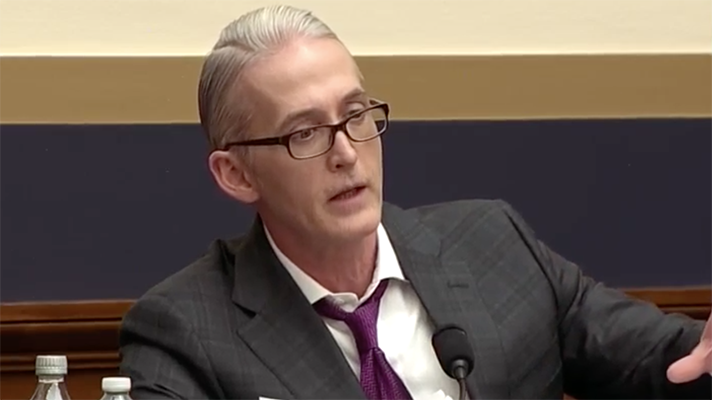 Gowdy said the agency gave Congress documents from only one of the five document categories requested in October and did not fully respond to the request. Further, while HHS received the request for data on cost-sharing reduction payments, it’s yet to assign the request for processing. Further, HHS provided an outdated memo from 2013 and has yet to produce any of the prioritized documents meant to relieve some of HHS’ burden. Gowdy also chastised HHS for its response to a guidance document request. After “grumbling” about the request’s Friday arrival, the agency again appeared to produce only “publicly-available information of no probative value” instead of what was requested. In fact, Gowdy said that HHS’ response included links to websites. A request for follow-up contained this response: “In our review, we did not find a document created by the previous administration cataloging guidance documents in the manner requested by your letter." HHS has also failed to adequately provide requested information on an action plan for guidance materials and HIPAA/HITECH guidance. If HHS fails to provide the requested documents or provide a legitimate, legal reason for not doing so by the deadline, Gowdy said the committee will use a compulsory process to obtain the required information.